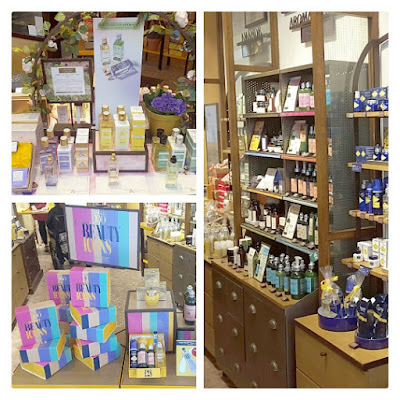 I was invited along to the L'Occitane en Provence store in Liverpool One to hear a little bit about their back story and learn more about their products. L'Occitane en Provence, is commonly known as L'Occitane, is an international retailer of body, face, fragrances and home products based in Manosque, France. The company was founded in 1976 by Olivier Baussan with the purpose to create a company that celebrates and preserves the traditions of his native Provence. The company name means "the Occitan woman in Provence". The staff in the store are so welcoming, friendly and all smell amazing, exactly what you would expect with working at a L'Occitane en Provence store. A stunning female member of staff showed me all of the products and gave us an overview of all of the stock which I received in my goodie bag. She also offered me and Phil a lovely glass of bubbly, which I had to pass on because of my medical treatment. The store is located in Liverpool One and is totally on ground level - perfect for wheelchair users and disabled people. 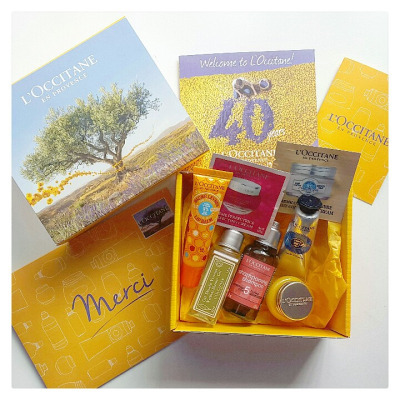 Thank you so much to L'Occitane en Provence for inviting me along to their store and showing me all amazing range of products, and of course thank you so much for my goodie bag full of stuff I can't wait to use them all and I will be returning soon!